As we’ve described in our past couple of Retirement Summary posts, remaining fully employed well into your twilight years may appeal to you – or not. Either way, life doesn’t always go as planned. You may experience a life-altering event. Or you may just change your mind. When that happens, whether it’s driven by a financial or personal agenda – or both – re-careering may be preferred over retiring. 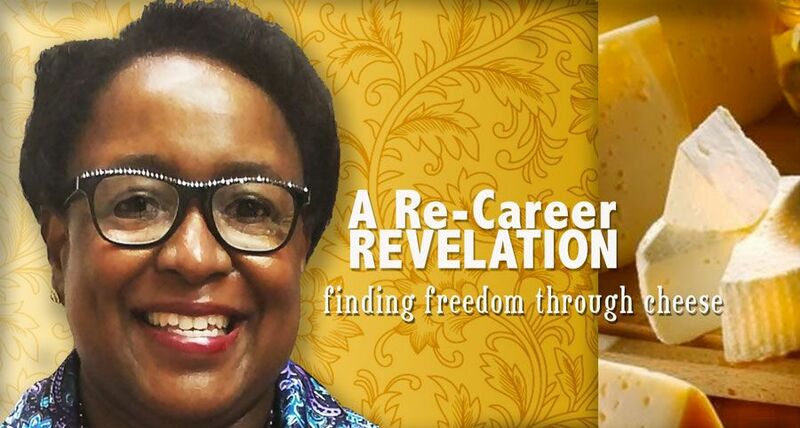 This is the path that SageBroadview client Greselda Powell took a few years ago on her remarkable journey toward refreshing herself and her career. Just good fortune? We suspect far more was at play. In any case, along the way, she bounced from her home state of Georgia, to various points in Texas, to Washington state, back to Atlanta and onward to New Jersey. Throughout, she was diligent about contributing to her retirement plan and nurturing her stock options, in preparation for some distant day when she might retire. In 2014, at age 51, Greselda became fully vested in her stock options and felt the time would be right to step down as a director and get back into a more creative position as a senior engineer. With the early days of extreme innovation behind a market grown more mature, Greselda felt “the fun was gone” from being in upper management. Then came that curve ball. Instead of sliding into a more relaxing role with Verizon, she was informed she was being laid off. At the same time, there were some significant crises going on in her personal life that left her with unresolved emotions to contend with. “At first, I freaked out,” says Greselda. Her retirement planning, stock options, and severance package meant she was going to be fine financially. She’d be able to take quite a bit of time before making her next move. But, she admits in retrospect, “Work was my life. It was my defining factor.” Leaving the firm she’d been at for more than 25 years was devastating. At least it was devastating for a little while. Today, Greselda says that the unexpected push turned out to be the best thing that ever happened to her. It was key to her taking the time to “find freedom,” and reach a state of peace she never thought she’d have. That re-career? You’ll never guess. Greselda is fast on her way these days to becoming an enthusiastic spokesperson for American artisan cheeses. Yes, cheese. It began as another of life’s serendipities. While still with Verizon, she happened to attend an event at Murray’s Cheese. (Careful about visiting their website; it WILL make your mouth water.) “I realized there was a whole lot more to this cheese business than I thought,” says Greselda, as she reminisces about her initial interest. Not just eating it. The chemistry and (not surprisingly) technology behind it, the farmer’s fields and milk suppliers, the production and packaging, the vast variations and the marketing … it all intrigued her. One cheese class turned into several – at Murray’s, and in Vermont and San Francisco. A few classes turned into signing up for Murray’s immersive “cheese boot camp,” which converted her into a volunteer for the event, which landed her a coveted internship with the company. To pick up some retail experience to go with, that “luck” of hers struck again when she took on a well-timed cheese monger position at the local Whole Foods. Where to from here? Greselda is still discovering that herself. But all you have to do is listen to her talk about cheese, and it’s pretty easy to guess her future is highly likely to involve some fantastic fromage. All we can say is, when it comes to a fondness for all things cheese, Greselda is preaching to the choir here at SageBroadview! SAGE Serendipity: It’s great to find a fabulous festival either in your backyard or while travelling. Since we’re almost in August some have passed by but there are still a lot going on. Here are a few lists (mostly East-coast) to get you going. Here is a list of cheese festivals around the country. Keep your eye out for Greselda! Jersey fests, because baby we were born to run… or float. 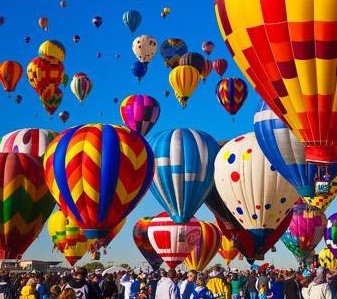 There are some great upcoming hot air balloon fests! Maine has a lot of upcoming summer festivals in August! On this website you can plug in a state and the upcoming festivities appear. Let’s begin with Massachusetts.